Christian Dekett was born and raised with his four sisters in the rural mountains of Vermont. Since wandering into Vermont Children's Theater at six years old, he hasn't been able to resist the pull of the stage. Since then, Christian has played numerous roles including Captain Von Trapp in The Sound of Music (Vermont Children's Theater), the title roles in Sherlock Holmes and Beowulf, Fred Phelps in The Laramie Project, and Jesus in Godspell (St. Johnsbury Academy's Fuller Hall). 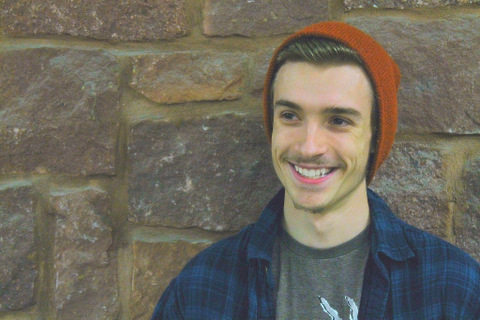 Currently, Christian is a second year undergraduate student at University of Vermont, is a member of UVM's Top Cats a capella group, has appeared as Tim in The Toys Take Over Christmas, Lord Byron in the student directed Half Cracked and All in White, and most recently as Richard Hannay in this year's riotous The 39 Steps. This is his first production with Vermont Stage.